Dunes Upscale Beach House Near Vineyards, Farm Stands. $312 ... $934 per night. 2 bedrooms. 4 Max Occupancy. Great place. Very secluded and private. Huge backyard and great location to the beach. Even have a great play yard for kids too right on path to beach. We loved it and will definitely come again. This house is adorable and very well maintained. We had everything that we needed to have a great week here. There were just a couple of things that were misleading in the description of the house. The first was that it sleeps 6 and that a cot is available. There are 2 bedrooms that each sleep 2 and a couch. There was no cot. The second is that the house is described as having a private beach. 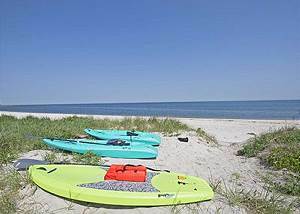 There is a beach down the road from the house that has signs up paying that it is private but it is really a neighborhood beach with lots of people there fishing, camping out, etc. This was not a problem, I just found the description on the website to be misleading. If you think that you are getting access to a truly private beach with this house, you are not. This house is gorgeous, so much better than the photos. It's clean and cosy, incredibly well-equipped and has spectacular views. Moments walk from the beautiful quiet beach - a mixture of sand and pebble - and less than an hour's drive from West Hampton and the surrounding public sandy beaches when you want the ocean. So much to do around the area for families - Splish Spkash, the aquarium, plenty of restaurants etc. Debbie & Virginia from Luxury Beachfront Getaway couldn't have been more helpful, we can't wait to go back! Everything was great!! My dog loves the yard and the beach...a great place to relax and watch the sun set. Debbie & Ginny, thank you! Beautiful little cottage right by the beach! The home decor and overall feel makes you want to go home and redecorate! Very warm and welcoming! This will be a yearly get away for sure!! Amazing sunsets and quiet beach was just what I needed!!! We had a wonderful experience at the Dunes Beach House! As a caretaker for my mother I really need some time away, but couldn't be gone for very long. 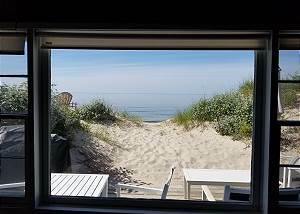 Renting the Dunes Beach House for a long weekend was the perfect option. I was able to relax in a home away from home and was even able to invite my Long Island family over for a barbecue. The house was spacious, nicely decorated, and immaculately clean. The location was easy to find and convenient for visiting the area or just popping over to the grocery store. I would definitely recommend LuxuryBeachFrontGetaways and the Dunes Beach House. 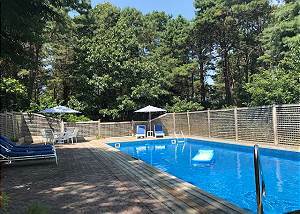 Private Romantic Beach House Vineyards, Farms, North Fork sleeps. $208 ... $620 per night. 1 bedrooms. 5 Max Occupancy. This little gem was ideal for a quick 4 day beach getaway. The location and the sense of privacy were fantastic. This completely changed my perception of Long Island beaches, which I had previously thought were pretentious and expensive. If you want to be RIGHT on the beach, this is it. The location is gorgeous. My kids had a blast playing in the sand right off the deck as we grilled or relaxed with a glass of wine. There's also a playground less than a mile down the road, also on the beach. The beach is a little rocky here, but the water is calm. Inside the house is very basic - it's definitely a beach shack. But we found everything we needed to cook dinner at home most nights. The caregivers were very responsive, checking in on us the first night we were there. When we were having issues getting the outdoor shower to work, they tried to fix it right away (and then my husband ended up figuring it out in the end). We also really liked the location of the home overall. It's not as far out on North Fork, so it's very easily accessible to Riverhead AND all the wineries/breweries. All in all, a great long weekend beach getaway and we would certainly stay again. Our hosts were very accommodating and helpful. They did their best to make us comfortable. We definitely will be back. Diana Beach House in heart of North Fork Hamptons (The Diana). $417 ... $828 per night. 2 bedrooms. 5 Max Occupancy. Beautiful house and property, wonderful experience throughout. Thank you!! 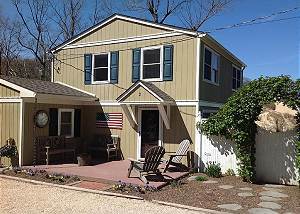 Southampton Home Perfectly Located near town w/ Heated Pool & Ja. $417 ... $1292 per night. 3 bedrooms. 8 Max Occupancy. The house was okay. The pool makes the house. Hot water was not a constant and you could not shower 2 people at the same time and after after 3 showers the hot water was done for a while. Instructions for the house could have been better. I was told there was a pool heater but not where kt was and then got a kind of rude text about the possibikity of me being responsie to pay extra if it was used too much. This was our 2nd stay in this perfect house in Southampton. A quick ride to downtown Southampton for food/drinks/coffee/dancing. The beach is close by, but we spent all day at the pool and hot-tub, which is all we need for a relaxing week. Highly recommend Luxury Beach Getaway - Debbie and Ginny are great hosts, super accommodating, and always available to help out. Dorey · Ocean Views Largest Beach House Directly on Beach!. $417 ... $1246 per night. 3 bedrooms. 11 Max Occupancy. We thought the house and location were perfect. Management company was very responsive. Internet, TVs, kitchen appliances, etc all met normal vacation home standards. Would definitely stay again. We spent a beautiful week in this home with our family for a graduation. The house was perfect for our needs, the rental agents were helpful and friendly. The beach views and sunsets made for many enjoyable days and nights in Long Island. Cute little community with many nice restaurants. We loved our stay! Newly Renovated Beach house Vineyards Farms Hampton's. $551 ... $1718 per night. 4 bedrooms. 10 Max Occupancy. We had a great experience working with Virginia and Debbie. We stayed at the Seaside, and the house was in beautiful condition when we arrived. The house had all the amenities so that we did not have to bring anything with us. The bedrooms were very nice and the beds very comfortable. The view was spectacular. The house was close to the vineyards and walking distance to an amazing restaurant. Soundview Luxury Beach House w Panoramic Views visit Vineyards. $415 ... $1239 per night. 3 bedrooms. 10 Max Occupancy. First off, the property managers (or maybe owners) were wonderful. The house was very clean, had amazing waterfront views, at nearly sea level, which is very unique. 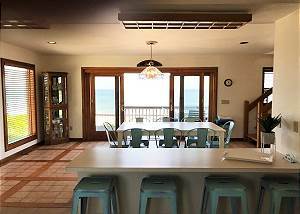 The decor is a perfect "Beachy" type that makes you want to just stay in the house and chill with a cocktail or catch the sunset. Locally, La Plage is wonderful. It is a short walk if you want to get a great dinner or escape for a cocktail for a bit. Overall, a great place to consider for your stay. This is the perfect getaway for anyone looking for some peace tranquility with its own private beach area. What more could you want then to be surrounded by amazing views of a moving seascape. Home has a wonderfully relaxing water view. Spacious living area. Very clean. Ginnie and Debbie have great homes for rent. We rent from them 2x a year and are always very happy. such a beautiful place to rest and take in the view - even when it was cold outside! We've rented the SoundView House for a week the past three years. Our family enjoys relaxing on the beach and in the water with our toddler and watching the sunsets over lobster dinners on the deck. Close proximity to Southold, Peconic Bay & Greenport to enjoy the restaurants, shopping, farm stands, wineries and of course the waterfront views. Debbie & Virginia are easy to communicate with and always responsive. They check in but definitely leave you to chill and relax on your own! True Beach house On The Beach! Once Upon A Tide. $415 ... $1552 per night. 4 bedrooms. 11 Max Occupancy. Between myself, and family we have rented a total of 7 homes over 4 years from Debbie and Virginia and they have all been fantastic and this year was no exception. The ladies are always easy to talk to and deal with and are quick to respond to anything you need. This was our first year in this particular home and it is a great space. The building has a unique shape and history which makes for fun nooks and rooms throughout. There is space for your group to gather together and plenty of space to have time alone, or in smaller groups. The extensive decking opens out to a wonderful stretch of rocky beach that is never crowded. I think we saw a grand total of 5 people on the beach in 7 days. I don't hesitate to recommend both this house and Debbie and Virginia! The house is gorgeous and quirky. The beach front is simply beautiful. Bring water shoes if you want to go swimming; the rocks are a bit painful on the feet. Debbie and Virginia showed up with a bluetooth speaker for us to use when they saw we had forgotten ours. Would book again! Our rental home Once Upon a Tide afforded us a fabulous ocean front view for daily swims and kayaks. We loved the big quirky house and large kitchen. Everything we needed was there, and if not the terrific managers are there instantly. Debbie and Ginny provide fantastic, pleasant and instant remedy for any problem. You would be lucky to rent from them, they are experienced and helpful rental managers. Never a problem, using this company years. We are always satisfied. We had a great time. Debbie and Virginia were awesome. They checked in periodically with us. The house was very clean and there were plenty of towels. The kitchen had everything you could need and more. The private beach was perfect, although the rocks killed our feet. We would highly recommend this place and the ladies. 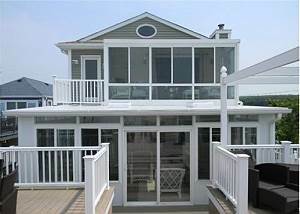 Very Large Luxury Beach House AMAZING VIEWS North Fork Hamptons. $417 ... $726 per night. 4 bedrooms. 12 Max Occupancy. Nice outdoor space. Beautiful living room/kitchen to spend time there. The best place ever. Beautiful house on the beach with all one could ever need. HOW WONDERFUL IT IS TO WAKE UP WITH THE BEACH IN YOUR OWN BACKYARD!!! WOULD HIGHLY RECOMMEND THIS HOUSE. JUST BEAUTIFUL!! The property looks just like the photos. The layout was a little funky. 4 bedrooms and 2 baths on the 2nd floor; but 1 bath only has soaking tub so we all showered in the master bathrooms shower. The basement has 2 bedrooms and no bathroom, so they had to come up to main floor for toilet/shower. We lost power 3 times on Thanksgiving day. The first time we called the Property Mgt. ; we left a voicemail but never got a call back. While I realize it was Thanksgiving morning, a call back even the next day would have been nice. They never did return our call. We had a great time and would do it again. Our extended family of 11 had an amazing time! The adults and kids all had their own space to enjoy. Watching the sunrise from the master bedroom, kayaking on the LI Sound, s’mores around a fire, to air hockey tournaments all made this vacation one for the books! Not to mention the convenience of baiting hollow winery, Long Island vodka and Riverhead Cider House made this vacation great! This was an excellent choice for our family weekend getaway. Beautiful home, clean, well appointed and prime location on the Northfork. Plenty to do in the surrounding area, restaurants, beachfronts, wineries, etc. Ginny and Debbie the property managers take an interest in who they rent to and could not have been more accommodating. Highly recommend this home to large families or friends that need a great escape. 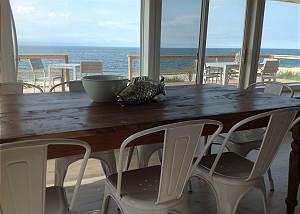 Mermaid Inn Luxurious Beach House Visit Wineries, farms Hamptons. $520 ... $1865 per night. 5 bedrooms. 12 Max Occupancy. I really needed this experience. I lost my mom last year around this time and I wanted to create new happy memories. The house was perfect right on the beach with beautiful view of the sound and sky. So close to the vineyard and spa. We were a group of couples looking to get out of Manhattan for the New Years Weekend. The house was wonderful. Fit everyone as advertised and had a great open kitchen, dining room, and living room set up. The location was great. Although we only experienced this house in the off season, we would recommend this house year round. 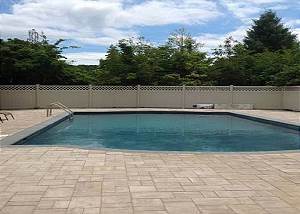 6BR Amazing Luxury Southampton Home-6BR Pool Jacuzzi. $520 ... $1865 per night. 6 bedrooms. 12 Max Occupancy. Beautiful Southampton Home w Pool/Jacuzzi Near Beach & Town. $417 ... $1962 per night. 4 bedrooms. 14 Max Occupancy. Very nice family vacation with older children coming to visit at their convenience. Large bedrooms, great kitchen, huge pool, and great entertainment pool house. The house was beautiful, clean and in a great location! Would defiantly recommend this house for future guests! Had 2 wonderful experiences with this company. The first was for my cousin's bachelorette party in summer 2016. We rented a beautiful house in South Hampton and had a great time. We loved the house so much that we decided to reach out to Ginnie & Debbie to book my bachelorette party for summer 2018. They were beyond helpful, answered all of my questions, and were prompt with responses. They were very helpful in accommodating my large party of 17 girls. This time around (summer 2018) we also rented a house in South Hampton from them, but a different one that was also beautiful & clean! It made my bachelorette weekend perfect! We had a great experience and even while we were there, Debbie & Ginnie answered last minute questions via text messages. Highly recommend Luxury Beach Getaway. The house was absolutely beautiful and clean! It was located on a very private block and we felt very safe! Pool was clean and there was even a gorgeous pool house! HIGHLY RECOMMEND this house!